OKLAHOMA CITY – EVO (short for Evolution Championship Series) is not just the greatest fighting game tournament in the world, but it is also the greatest video game tournament, period. Every year, fighters from around the globe converge on Las Vegas to test their mettle against the very best players on the planet. To be the best, gamers must out-perform all others on titles including Ultra Street Fighter 4, Ultimate Marvel vs Capcom 3, Tekken Tag Tournament 2, Super Smash Bros. Melee and many others. It is an exceptionally hype event. The good news, part I – EVO is less than a week away!! The bad news – many of you reading this probably have never even heard of EVO. The good news, part II – this article is a crash course in EVO knowledge! Actually, it’s a crash course on the entire fighting game scene. So read on, and get hype for one of the greatest events in the world. Hype – As you watch EVO this weekend, one of the first things you’ll notice is the dreadful and spectacular misuse of the word “hype.” In English, the word “hype” is either a noun or a verb. 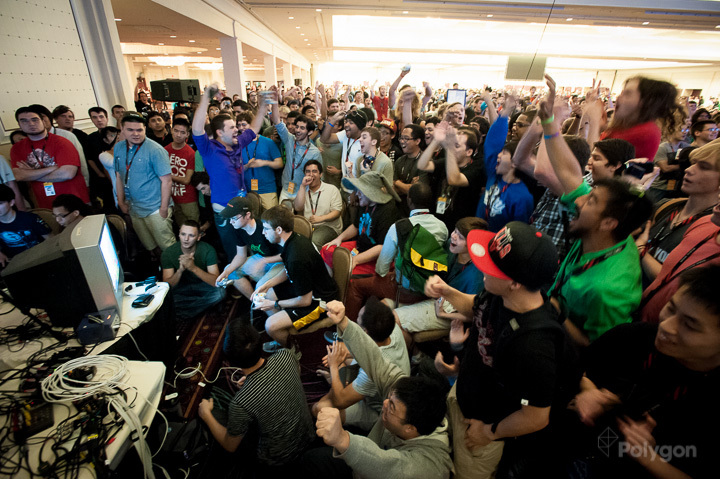 For example: there is a lot of hype surrounding EVO 2014!!! Or: the fighting game community wants to hype itself as much as possible. In the fighting game community (FGC), though, “hype” has somehow become an adjective. How’s that possible? I have no idea. But you can’t watch a stream or read a twitter feed without quickly encountering someone describing a moment as hype. NOTE: The word is usually implemented as a replacement for over-the-top words like “awesome”, “incredible” or “amazing.” However, in other settings, it is used as a replacement for “excited” or “pumped up.” I find this all completely zany. If you’re still unclear about “hype,” you might have noticed I used the word both ways in the opening paragraphs. It is an exceptionally hype event demonstrates hype replacing a word like awesome, rad, or stupendous. So read on and get hype for one of…. shows how to use the word as a replacement for excited. Butchering English can be grating to some. It certainly is to me. At first, upon hearing people say “Get hype! 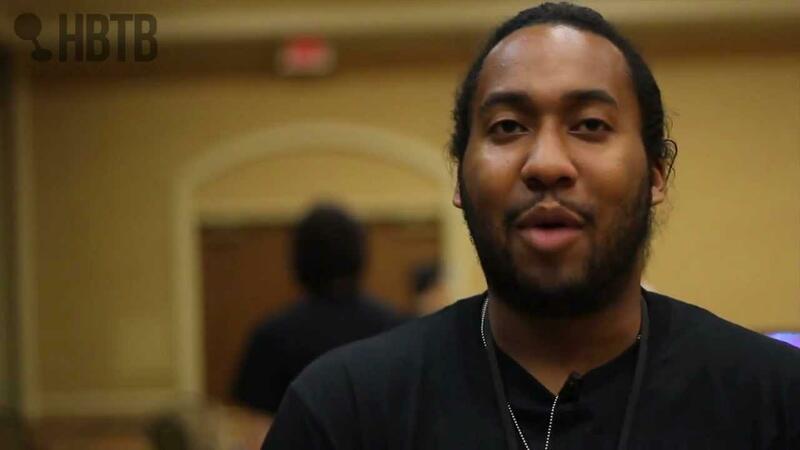 !” I thought sarcastically ‘Why should I acquire exaggerated publicity?’ And, I was bewildered at the incoherence of people saying, “That’s so hype!” But, over time, I came to accept this quirk of the FGC. If I can, you can too (hopefully). If not, you should just get hype anyway. Nicknames – If you are not just new to the FGC but new to ALL competitive video gaming, you’ll need to get used to nicknames. Nicknames happen because, when guys play over the internet, they often use an alias rather than their real names. Over time, the really good players become very well known, but they’re only known by the names they use online, their nicknames. That’s why people refer to top Street Fighter 4 players Seon-woo Lee and Bruce Hsiang as “Infiltration” and “Gamerbee,” respectively. Actually, Seon-woo Lee goes exclusively by “Infiltration.” I’ve never heard anyone call him by his Korean name. K-Brad uses my least favorite character, Cammy. But, he’s a cool guy, so good luck to him! But, not everyone uses a nickname. Many fighting gamers, especially older guys who grew up playing in arcades instead of online, use their real names. This can make it easy to connect with players on a more personal level. Guys who play under their real names include champs like Justin Wong, Daigo Umehara and Xian. 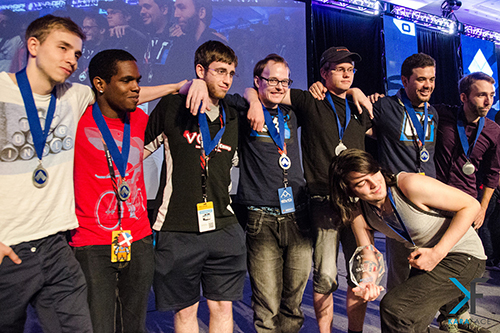 Other perennial all-stars known by their real names include Alex Valle, ChrisG and Reynald. Now, whether a player uses his/her real name or a nickname, chances are the top players will be sponsored. So, you’ll frequently hear people referred to by not only their handle but their sponsor too. Like, Daigo Umehara is sometimes called Mad Catz Daigo Umehara. Or, Justin Wong is called EG Justin Wong. It’s kinda silly, but it’s also kinda cool. Just another unique feature of the FGC. BTW, if you encounter someone using a nickname and want know more about him, you can find nearly all Top 8 EVO finishers listed by both their real names and nicknames here. Sponsors, if any, are listed as part of the nickname. 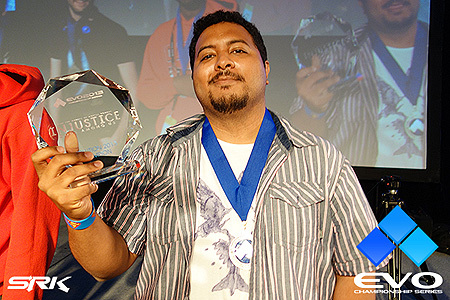 Will KDZ repeat as Injustice champ? Cultural Diversity – The FGC sports tremendous cultural diversity. Over the years, there have been Top 8 finishers from the following countries: USA, Singapore, Japan, S. Korea, Taiwan, Peru, Mexico, France, Sweden, Germany, Chile, China, Hong Kong, Saudi Arabia, England, Canada, Puerto Rico, Australia, Greece, Dominican Republic and Italy. And that’s just the Top 8 finishers! This year, EVO is set to host over 800 participants from 46 different countries. What a remarkable community. Despite the diversity, the nations with the largest numbers of top finishers are always USA and Japan. There’s just no getting around it – with deep talent pools and major national tournaments to attend, American and Japanese players are simply at a higher level than the rest of the world. Knee won Tekken Tag Tournament 2 last year. It should be noted that S. Korea is catching up, with players like Infiltration, Poongko, Nin, Laugh, MadKOF, Verna, Kura, Lacid, Guts and Knee all finishing Top 8 since 2010. N. Korea is not catching up. 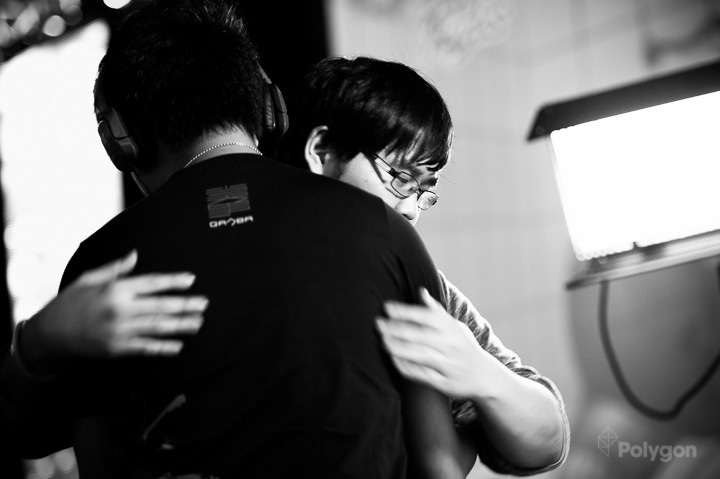 Gamerbee vs Infiltration – the best of Taiwan vs the best of Korea. Another interesting note on the culture of the FGC – I’m not sure how to say this without people taking it the wrong way, but I’m going to try. The thing is, overall, most top players are either Asian, black, or Hispanic. 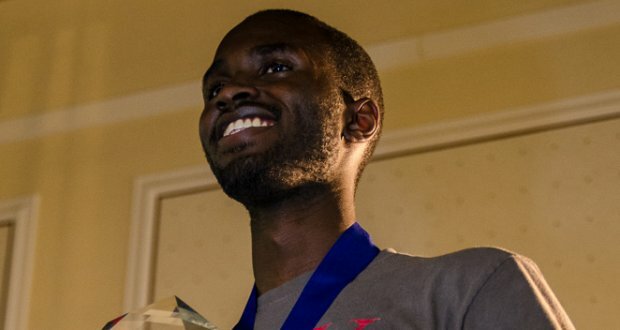 NOTE: I say “black” and not “African-American” because at least one great black player, Ryan Hart, is from the UK. It would be wrong and asinine to call him African-American. Anyway, this mix makes for some unique culture encounters. I find it especially odd to see a stoic and reserved Asian player like Infiltration go against a guy backed by raucous and boisterous black Americans as in this competition between Infiltration and Sethlololol. Funny stuff! Sethlololol’s crowd is hilarious and quite a departure, I’m sure, from what Infiltration encounters back home in Korea. For some reason, you’ll rarely see a white guy finishing anywhere near the Top 8 in any game other than Smash. It happens occasionally, but, generally speaking, it’s a rarity. One might think ‘But Grant, maybe the whole gaming community breaks out the same way racially LOL.’ It doesn’t. I used to be really into the Halo scene, and most of the best guys are white kids, not Asian, black and Hispanic. I find it curious that certain races gravitate toward certain games/genres. Not being a trained sociologist, I’m in no position to speculate as to why this is, so I won’t. I simply find it interesting. It’s not Halo, it’s Smash Brothers!! Age makes no difference – In most competitive gaming, age plays a big role in deciding who’s successful and who’s not. As players age, their reactions slow down, their bodies break down, and life demands increase. This process is inevitable, and it usually eventually prevents players from competing at the highest of levels. It’s bittersweet, for while it is sad to see a once great champ lose his ability to stay viable, his fading allows new talent to come into full bloom. In most video gaming scenes, the apex of a player’s powers is somewhere around 17-22. After that, guys just can’t stay on top (unless they’re Ogre2, in which case they just keep winning). While this is probably going to happen in the FGC, it is becoming clear that old powerhouses can stay powerful for a very long time. 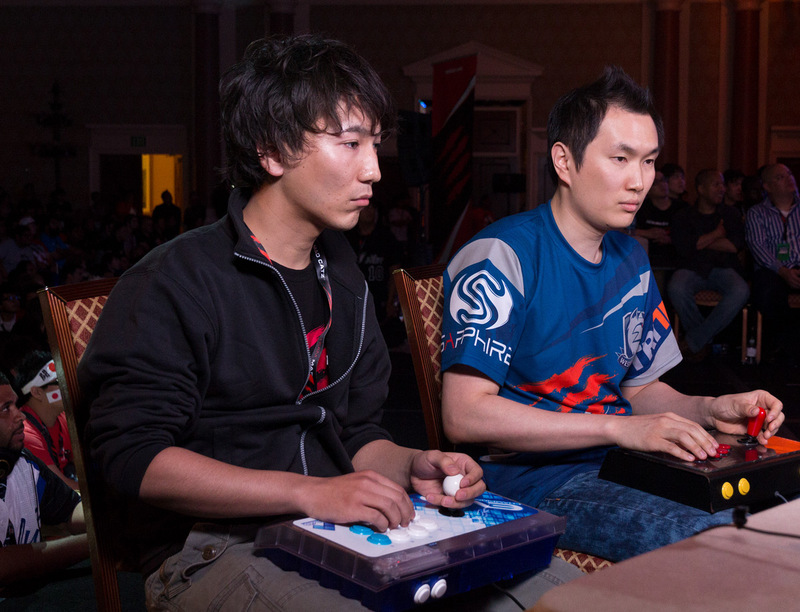 Daigo, left, still getting it done after all these years. The best examples of this are Daigo Umehara and Alex Valle, two of the greatest players of all time. They first met in an international matchup in 1998 at the ages of 18 and 21 respectively. 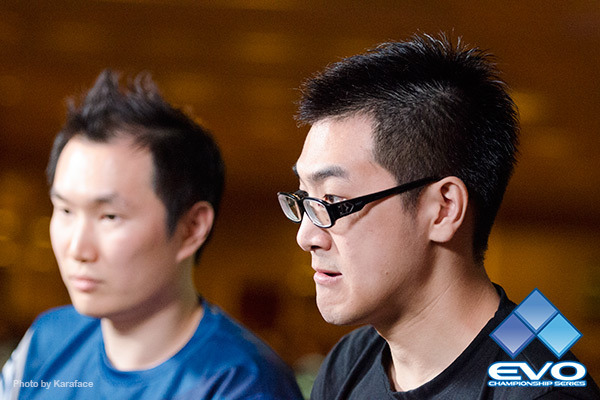 Last year, at the ages of 32 and 35, they placed top 8 and top 4 at EVO. Age doesn’t matter. Another example of ageless gaming is America’s greatest fighter, Justin Wong. 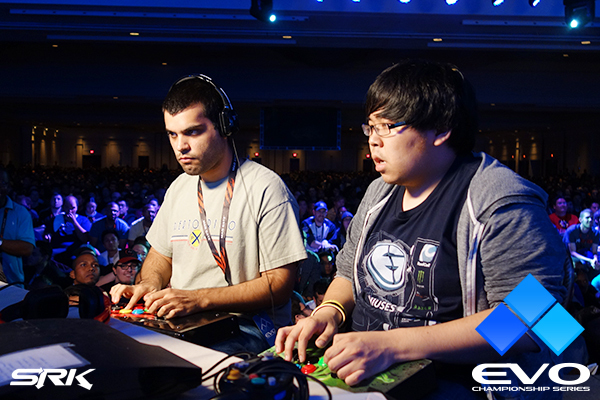 Last year, at EVO 2013, he placed 2nd in Ultimate Marvel vs Capcom 3 and Street Fighter X Tekken. AT THE AGE OF 28. That’s an insanely high placing for someone well over the usual “old man” age for video gamers. 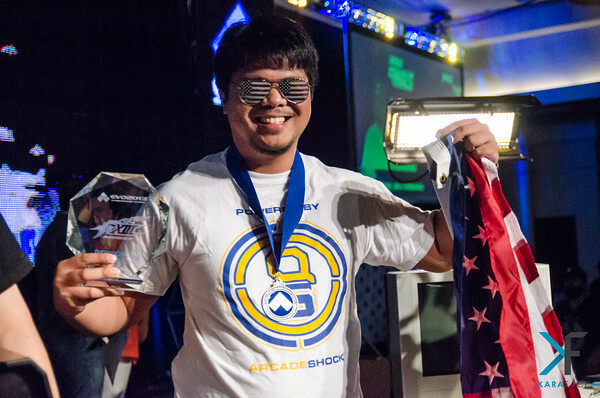 Justin Wong fights Flocker for the UMvC3 title despite being past the “prime” video game age. Nobody knows how long these fighters will stay competitive. 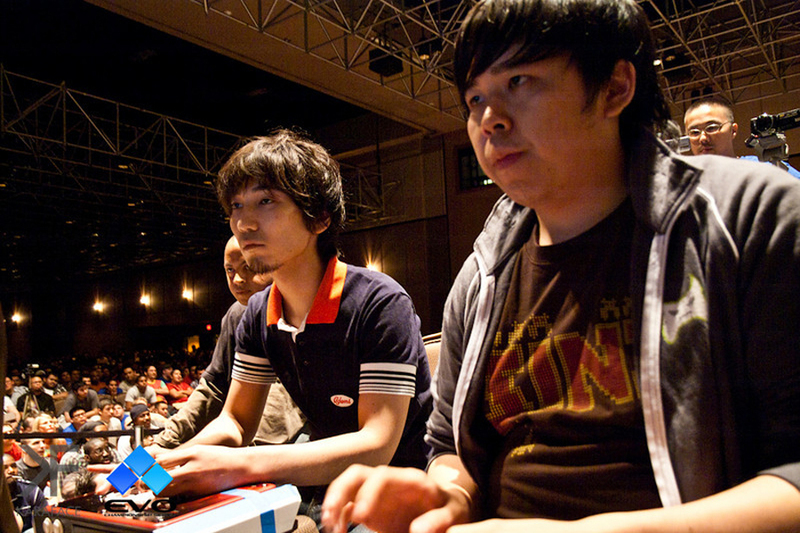 It is clear that Daigo, Alex and Justin still have massive game, and many predict strong finishes for them at EVO 2014. This can only bode well for the FGC. So many different games – If variety is the spice of life, then life at EVO is spicier than Trinidad moruga scorpion curry! This year’s tournament features eight main games: Ultra Street Fighter 4, Ultimate Marvel vs Capcom 3, Injustice, Blazblue: Chronophantasma, Tekken Tag Tournament 2, Super Smash Bros. Melee, King of Fighters XIII and Killer Instinct. 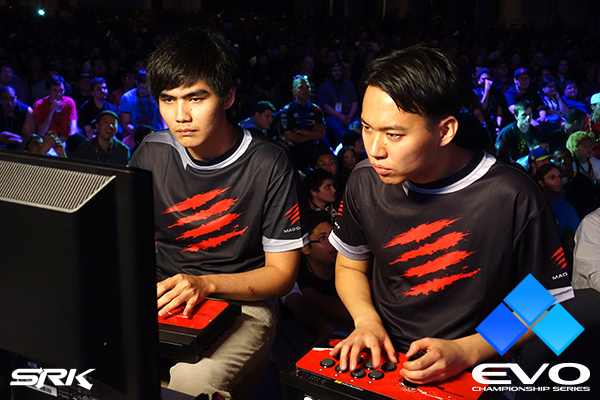 Will Reynald own King of Fighter XIII again this year? EVO also attracts players for tournaments of “unofficial” games. Despite their unofficial status, these games are played for money and are usually sponsored by gaming companies. This year, side tournaments include Skullgirls Encore, Soulcalibur II HD, Soulcalibur V, Guilty Gear AC+R and Persona 4 Arena. Other side tournaments may emerge as we draw closer to the weekend. The point is, there are a LOT of games to watch and a LOT of players to get to know. It’s like the Olympics except for fighting games, and it happens every year instead of every four years. Thank goodness! Personally, I LOVE the giant lineup of games because, if you ever feel like you’re watching a boring match, chances are there’s something better on. The more the merrier. With Mortal Kombat 9 out of this year’s lineup, can Denzell Terry win it all in his other game, Injustice? Frame data – If you’re going to watch a fighting game tournament, you might as well know about frame data since commentators will doubtlessly mention it. Frame data is easy to understand but hard to master. Here’s how it works. Basically, game visuals behave like a movie reel going through a projector. Each single frame on the movie reel contains a bit of action, and as the reel runs, the frames blur together to create movement. In the case of Street Fighter 4, the action runs at 60 fps. That means, for every second, 60 frames of visible actions are happening. 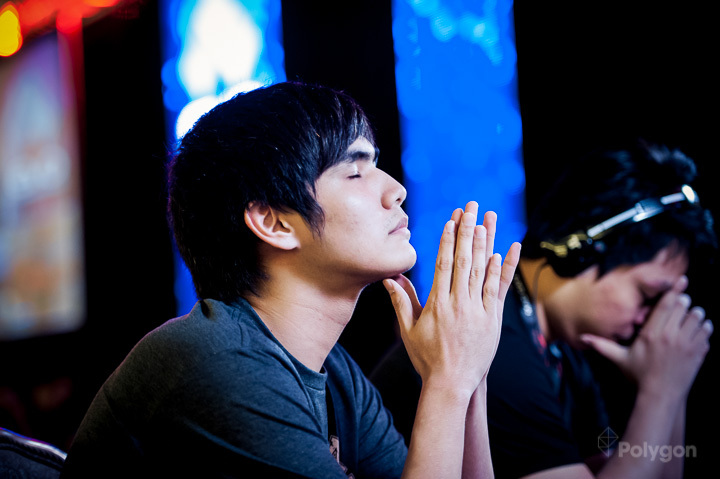 Xian getting focused at EVO 2013. Since every move for every character requires a specific amount of frames from beginning to end, top players will study frame data to figure out which moves take fewer frames, thereby making them faster and prone to hitting before counterattacks. Honestly, that’s the breadth of my knowledge. This Eventhubs article does a pretty good job of explaining things further. Sportmanship – My favorite thing about the FGC is that there is a tremendous level of sportsmanship. At the end of a match, you’ll invariably see the two players shake hands and part more-or-less amicably. Sometimes, you’ll even see the loser congratulate the winner, happy for his buddy’s success. Naturally, a cynic would think these actions are contrived, and I think some handshakes are more heartfelt than others. But, most of the time, I find the high level of graciousness to be genuine. 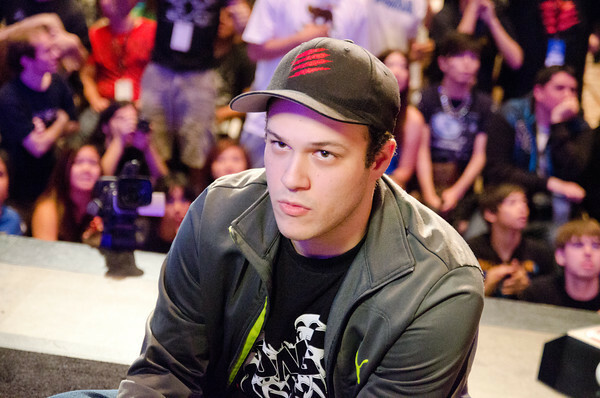 PR Balrog is playing better than ever. Will this be his year? A few other things to note…. East Coast/West Coast – For some reason, there is a lot of talk in the FGC about East vs West. People take pride in being born/living in a specific location. Which is cool or whatever. Streaming – Spectators can watch EVO all over the globe via live streams. There will be three official streams happening Friday-Sunday, and Mad Catz will be operating an independent side-tournament stream Friday-Saturday. All streaming happens through Twitch. Find the main stream schedule here and side tournament stream schedule here. Will Daigo regain the crown? I sure hope so. Shoruken.com and Eventhubs.com – Shoryuken.com and Eventhubs.com are the two leading websites devoted to fighting games. I mostly use Shoryuken for tournament results and general news, and I use Eventhubs for specific game info like character moves, strategies etc. 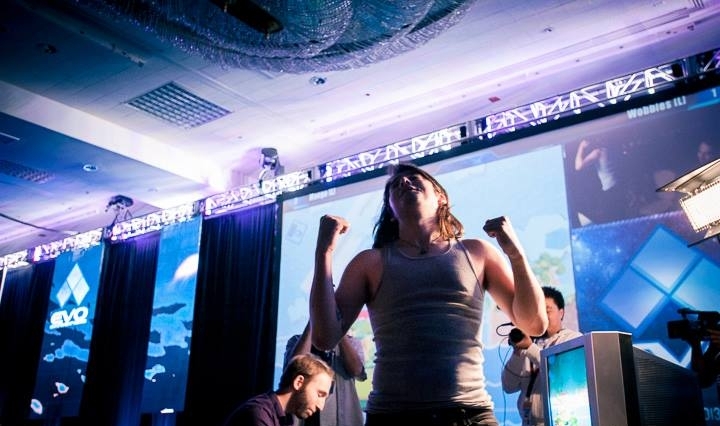 Evo Moment 37 – Three years ago, gaming site Kotaku listed the top 10 best professional gaming moments of all time. Number 1 on the list? This gem. Youtube vids – If you want to get your feet wet before diving into EVO this weekend, you might check out some videos online. 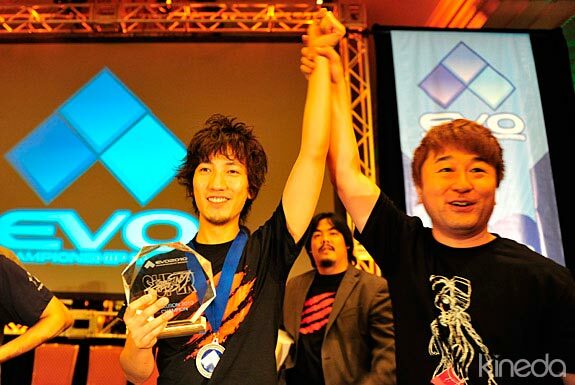 I’ve compiled a list containing the Top 8 matches from every title at EVO 2013. This would be a great place to see what you have to look forward to. Commentators – For better or worse, every EVO match will feature commentary from guys who’re extremely versed in the game. Most commentators are good, a few are silly, and then some are grotesquely awful. You’ve been warned. That’s it. The crash course is over. There’s so much more to discuss, but at this point, you just need to watch EVO and enjoy everything the FGC has to offer. Good luck to all the competitors and spectators this weekend. Good times await. Grant Stevens is a horrible fighting game player who watches hours and hours hours of Street Fighter 4 on Youtube. When he’s not wasting time with that, he loves apologetics and music. He’s even recorded an album which is available on iTunes and can be sampled here. He’s also the exalted potentate of the Use Ironic Correctly Society, and he is a clear frontrunner to win the Pulitzer prize from this year forward. Dat scumbag Cammy is just too hype! No really she’s awesome, try using her a few rounds! I never liked using Akuma, but after seeing a pro named Jackbnizzle use him several times, I felt like I needed to get my feet wet and try him out too. Overall this is a great article, it’s got some very interesting points, especially about how there is mainly Hispanic, black, and Asian people primarily. 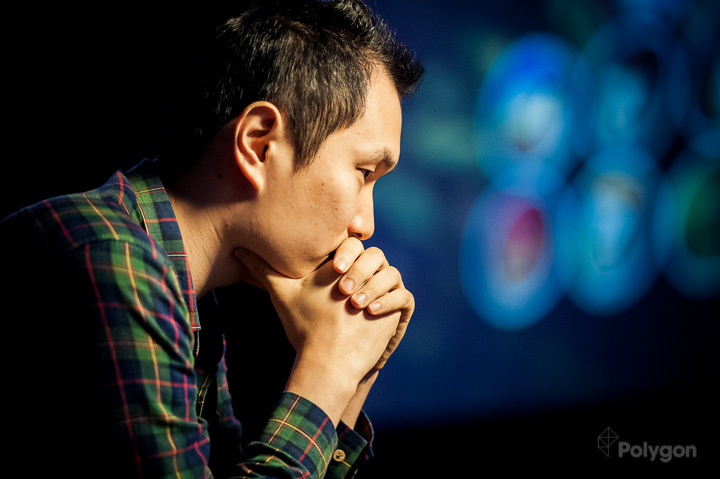 I really hope Infiltration wins USF4 this year at EVO, as he is probably my favorite competitor now. Secretly I hope K-Brad will win, because…Cammy is awesome. 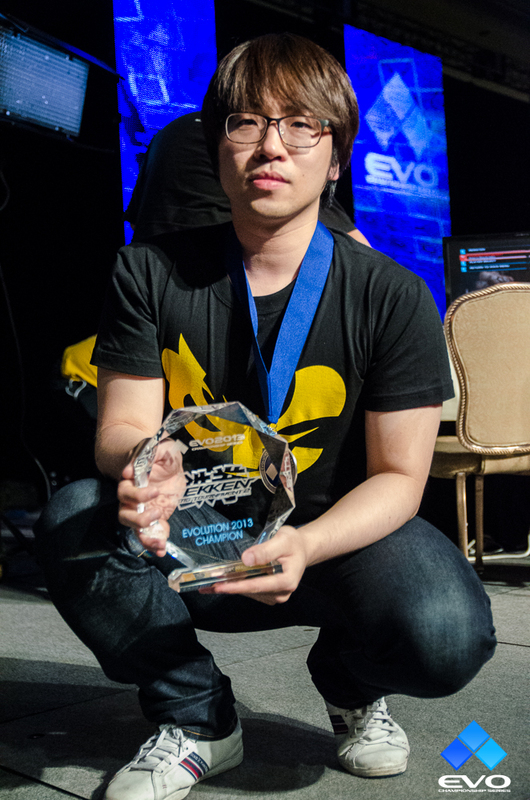 I think it would be spectacular if Justin Wong pulled out first place on the MvC3 scene.